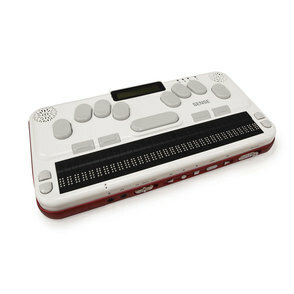 A portable notetaking, networking, and entertainment device designed for deaf-blind users. 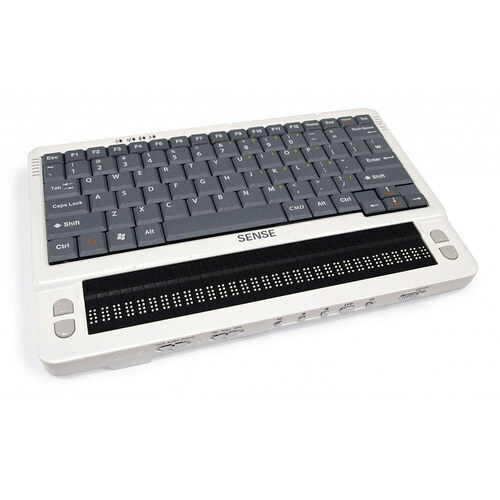 Works similarly to a laptop computer with a 9-Key Perkins-Style Braille keyboard and LCD display. Bilingual functions and Sense dictionary for language practice and learning, fraction calculation and Nemeth Braille code entry into a scientific calculator. 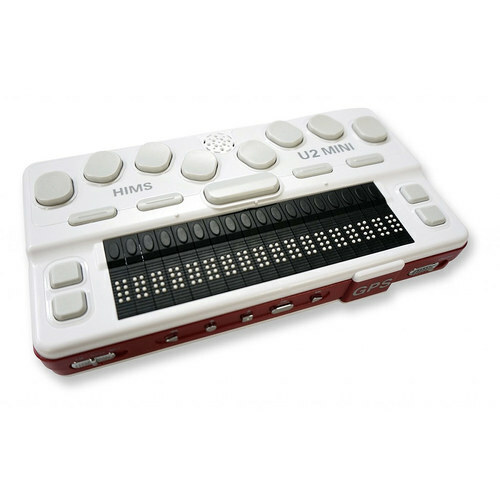 HIMS Braille Sense U2 can be used to for: creating and reading documents, emails, media player (Daisy player and FM radio), internet access, social media and social networking, and navigation via GPS receiver and electronic compass. Facilitates communication for deaf-blind users with vibration alerts, output by Braille or speech, and a flipable LCD display. - Document files : HBL(Braille file of Braille Sense), BRL, BRF, TXT, RTF, DOC, DOCX, PPT, PPTX, EPUB, PDF, XLS, XLSX, HTML/XML(through Web Browser), CSV. - Media files : MP3, MP4, WAV, ASF, OGG, WMA, M4A, M3U, PLS, Audible, WMV, FLAC, MID, AAC, YouTube videos. - Daisy contents : Daisy 2.0/2.02/3.0, NIMAS 1.1, Open Library, protected DAIS Recording files : MP3, WAV. - Productivity: File manager, Word Processor, Excel Viewer, Sense Navigation, Schedule manager, Address manager, Database manager, Macro Manager, Scientific calculator, Google maps, Dropbox, Sense Dictionary (optional), etc. - Web tools: Web browser, Quick Browser, Google search, RSS reader. - Communication: E-mail, Google talk, Twitter, Facebook, Sense Chat. - Audio Information: Media Player, Daisy Player, FM Radio, YouTube. - Computers: System Access, JAWS, Window-Eyes, SuperNova, NVDA, COBRA, VoiceOver for Mac. - Mobile: Mobile Accessibility and BrailleBack for Android, VoiceOver for iPad and iPhone.